Awards season is upon us again, and the Grammy Awards are up next. 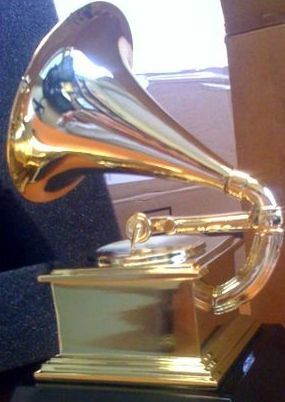 Who will win the coveted gramophone trophies from the National Academy of Recording Arts and Sciences for 2012? The Grammy Awards ceremony will air live from Los Angeles’ Staples Center on CBS TV on Sunday evening, February 12th. Here are my personal predictions of those most likely to win, though not necessarily those I’d pick for each of the top categories. My predicted winners are bolded in red. Nope, I'm not explaining my picks. How do they compare to your Grammy Awards predictions? Be sure to c’mon back on Monday, and see how I did. And don’t be shy about commenting, if you agree or disagree with my Grammy Awards predictions.